Crafted with input from the all-time money leader in professional bass fishing, Denny Brauer the Rattlin Pro Model Jig has all the features desired by serious jig anglers. Featuring an extra loud double barrel rattler which has 4 BB's that also keeps pork bait trailers in proper position and has a "keeper" for soft plastics. A fiber weedguard should boost your confidence by allowing you to run this lure through thick cover you wouldn't dare cast before. 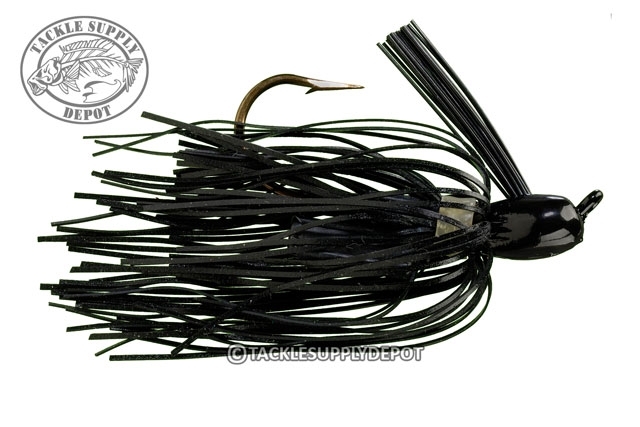 Strike King's proven Pro Model Jig features Mirage silicone skirts and an ultra-sharp black nickel hook.